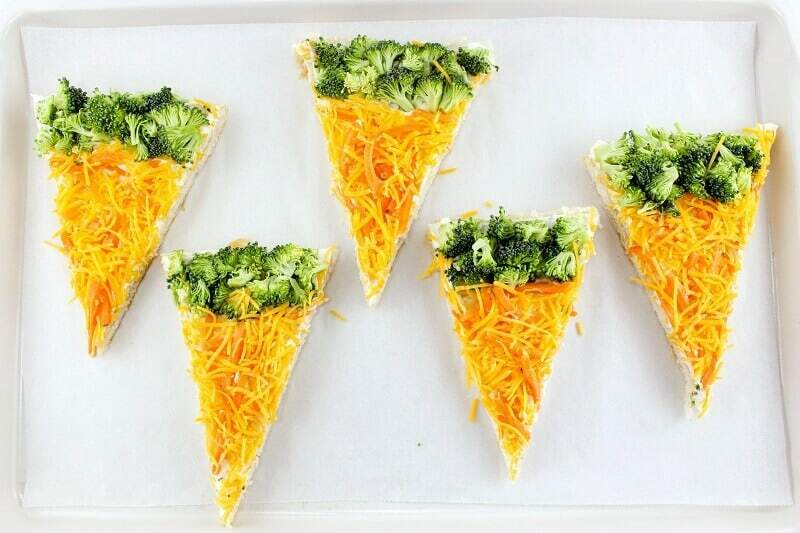 These carrot-shaped veggie pizza bars make a great healthy after school snack option. Plus, parents can rejoice in knowing that their little ones are eating their veggies! 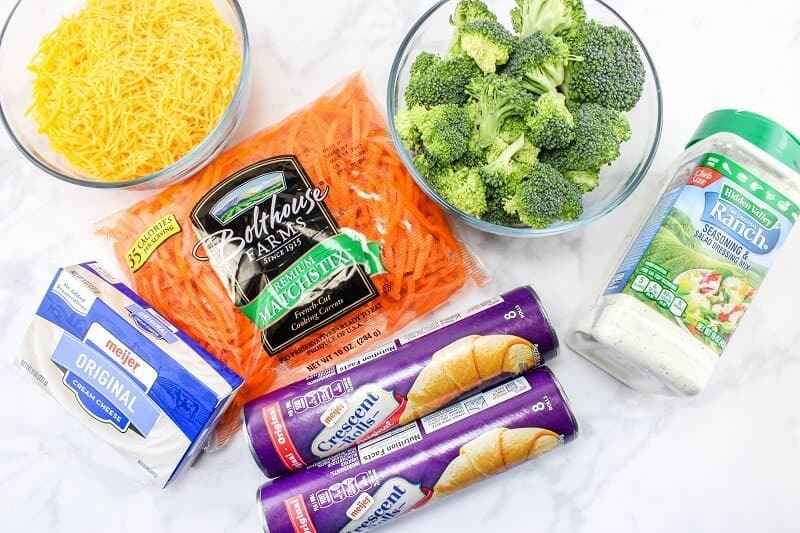 These easy to make carrot-shaped cold veggie pizza bars come together in minutes and make a perfect snack for the little ones. 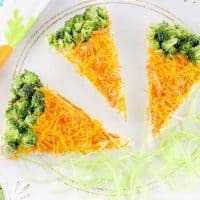 Their fun carrot shape makes these vegetable pizza bars the perfect Easter treat as well. Read on for step-by-step instructions on how to make these cuties. 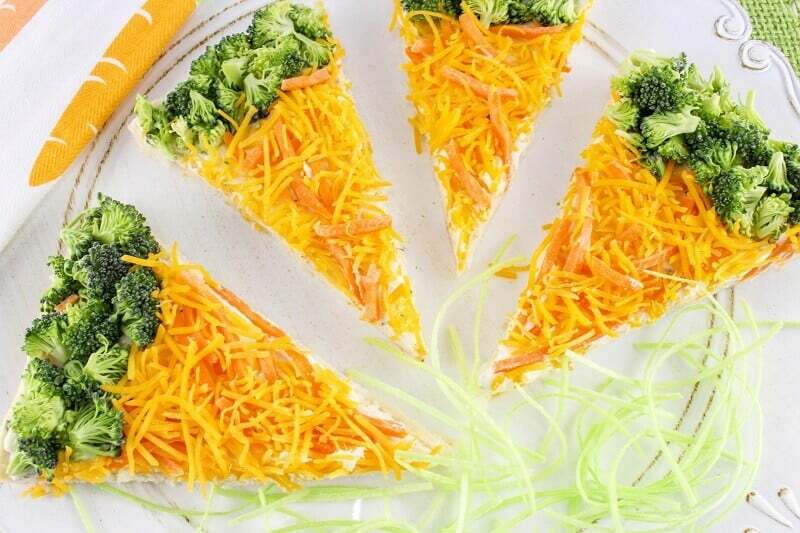 If you like these veggie pizza bars you will love this no-bake fruit pizza dessert recipe. Preheat oven to 375 degrees. 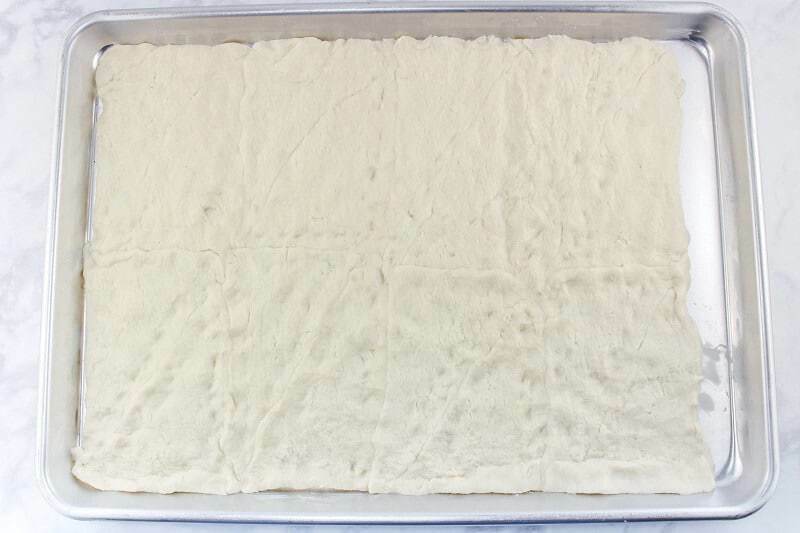 On a baking sheet, press the crescent roll dough out, make sure seams are pinched tight, and bake for 10-12 minutes. Remove from oven and let cool. 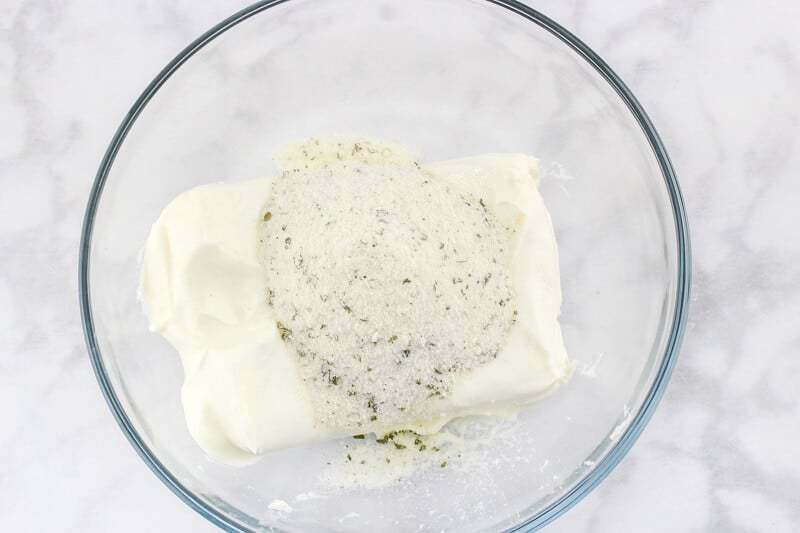 In a small bowl, mix cream cheese and ranch seasoning. Spread mixture over cooled crescent rolls. 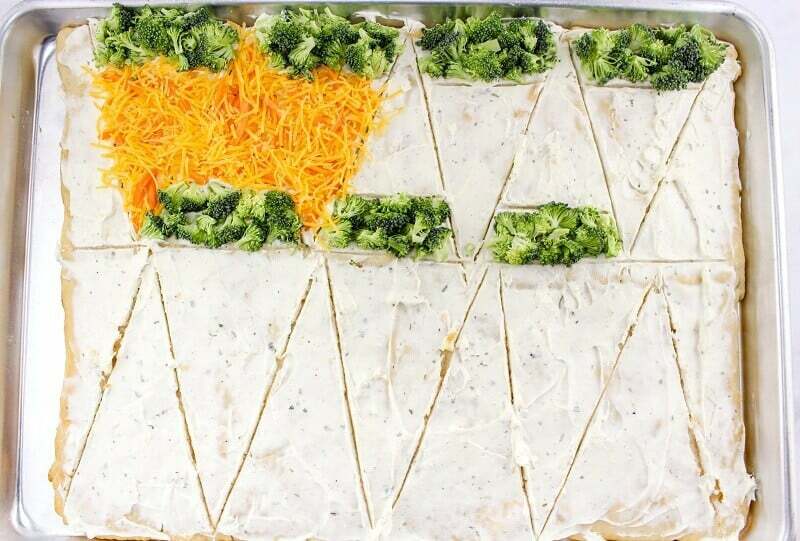 Take a knife and lightly make lines in the cream cheese in the shape of 14 triangles. 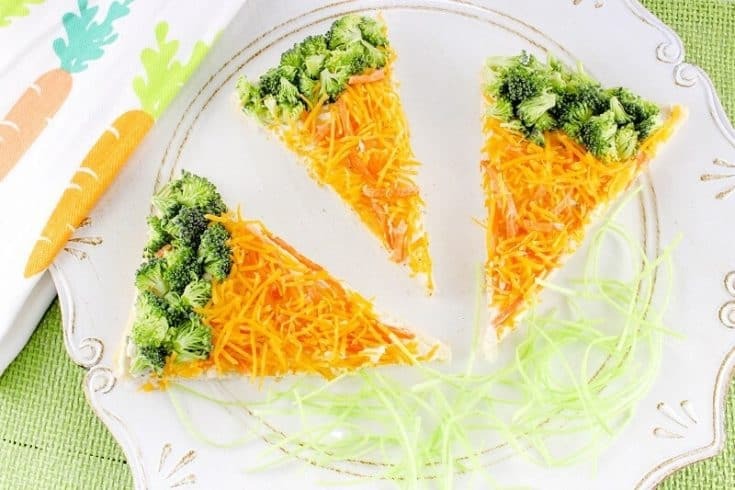 Make your carrots by sprinkling broccoli along the top of edge of each triangle and cheese and carrots on the rest of each triangle. Cut out triangles and serve. That's it! 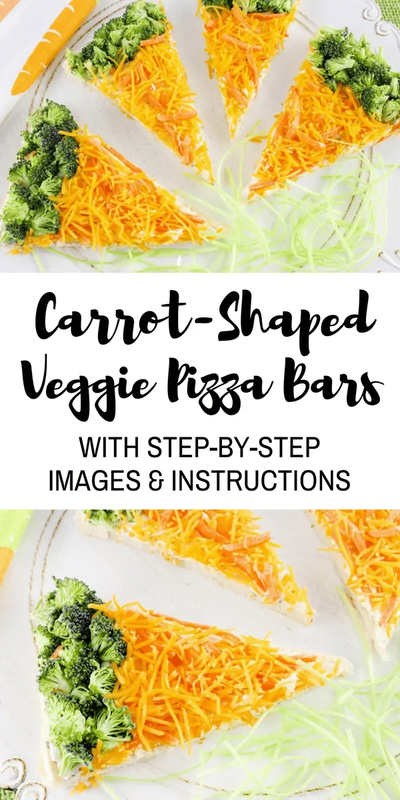 I hope that you and your family enjoy these adorable carrot-shaped veggie pizza bars. For more healthy snack ideas check out these 26 easy after school snacks. 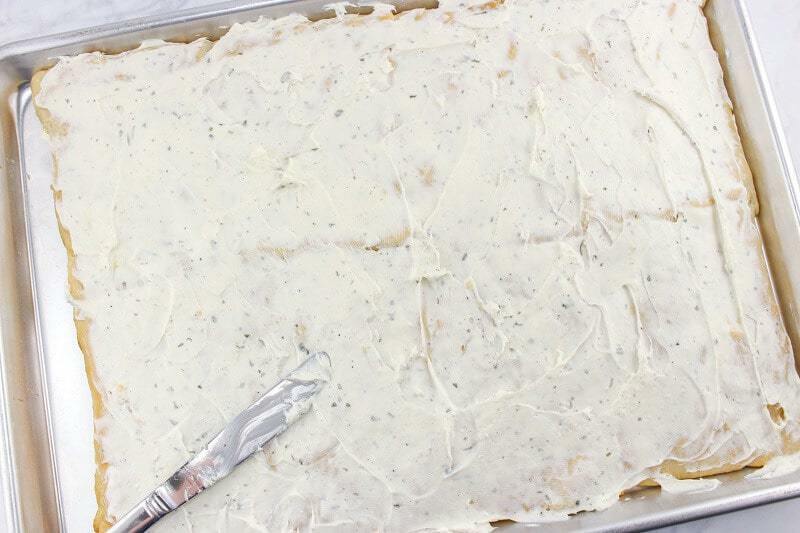 This fun recipe was shared over on Meal Plan Monday! This is a great idea! It ‘s a recipe that’s easy,healthy and delicious looking for a great snack. What a marvelous idea! Looks so yummy and healthy too. This is a really cute and kid friendly idea. I am definitely going to have to try it especially since it seems relatively easy to make. I love this and what a great idea. This is a nice way to get my grandchildren to eat their veggies. love veggie pizzas and have made many………….This is a really great idea to make it something totally different. This is such a cute idea! They look delicious too! Looks awesome! I’d add some hummus too. This is an adorable veggie pizza, I love that it looks like carrots! 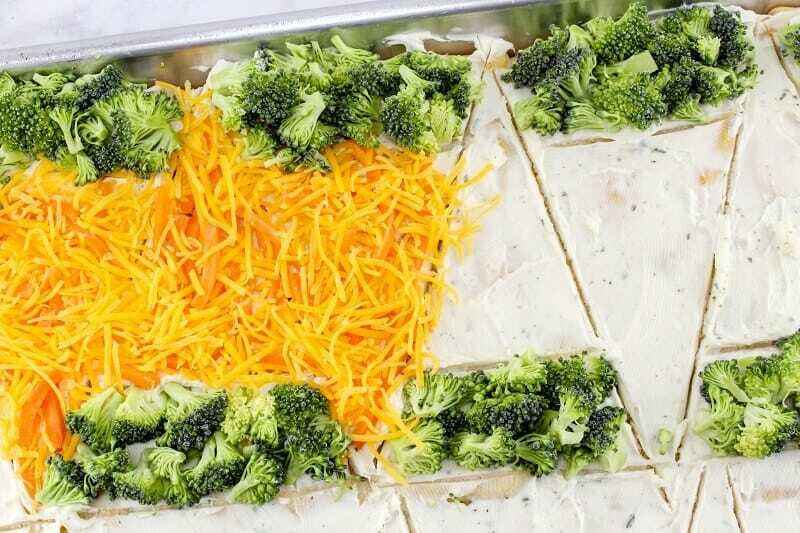 🙂 This would be a fun way to get the kids to eat their vegetables, thanks for sharing!